The American workforce has become increasingly diverse both generationally and culturally in the last decade, and that trend is expected to continue for the foreseeable future. This presents unique challenges for employers who wish to provide safety instruction and protection for their employees. Mitra Toosi, an economist with the Bureau of Labor Statistics Office of Occupational Statistics and Employment Projections, projects that by 2022, one-quarter of all workers will be 55 and older, largely due to the fact that Baby Boomers tend to stay on the job longer than those of previous generations. The same report postulates that between 2000 and 2050, new immigrants and their children will account for 83 percent of the growth in the working-age population. Similarly, the national Council of La Raza, the largest national Hispanic civil rights and advocacy organization in the U.S., estimates that by 2050, 1 in 3 working Americans will be Latino. As the face of the American workforce changes, how is worker safety impacted? What issues arise with varying segments of the worker population? What can be done to address those issues? Consider the impact of older employees in the workplace. According to the Bureau of Labor Statistics, workers aged 65 and older, as a group, are less likely to be injured on the job. Likely, this is because older workers are more experienced and are more likely to discern practices that can lead to injury. 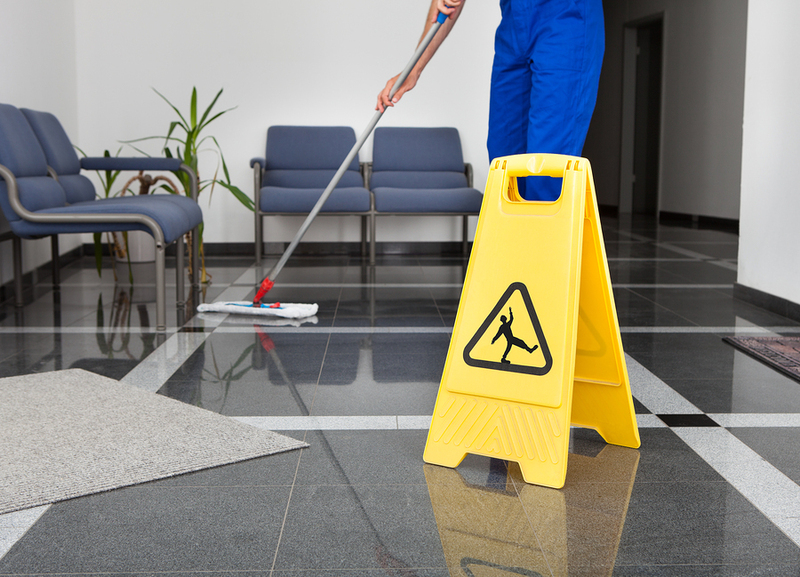 On the other hand, older workers are almost twice as likely as their younger counterparts to experience injuries due to slips, trips, or falls. Complicating the issue further is the fact that, when older workers are injured, they often take longer to recover, and therefore, do not return to work as quickly as younger workers with similar injuries. Bill Spiers, a risk control services manager with Lockton, suggests that a good employer practice is to evaluate the ability of older workers to perform their jobs safely and determine whether additional safety precautions need to be implemented to keep them safe. Increased safety precautions will aid, not only older workers, but younger ones as well. Therefore, investing time in evaluating the ability of older workers and making any necessary adjustments in safety protocols is a win-win scenario. According to an ISHN article entitled “How to Manage Millennials”, there are both positive and negative factors to consider regarding the impact of millennial workers on safety protocols. Millennials are more likely to solve safety problems through collaboration. Millennials are more likely to search for safety information online. Millennials are more likely to zero in on and concentrate on safety messages. Millennials may be more likely to show disrespect for authority. Millennials may be more focused on self-fulfillment, increasing the likelihood of at-work behavioral risks. Millennials may exhibit a lack of personal responsibility and tend to blame others when safety incidents occur. Make it mobile: Provide safety training in a mobile format for ease of access for tech-savvy millennials. Personalize the message: Millennials want to understand how a subject benefits them personally. Make safety training a highly personal affair, with information about how following safety protocols impacts workers in a positive way. Make it collaborative: Use the millennial mindset of crowd-sourcing to advantage by involving millennials in team safety initiatives. According to the National Safety Council’s “Journey to Safety Excellence”, safety excellence stems from strong leadership and employee engagement. In the case of multi-cultural workers, engagement may be a challenge due to cultural differences or language barriers. However, it is the responsibility of employers to provide adequate safety communication and training to all employees, regardless of cultural and language difficulties. Therefore, a best practice in safety training for a multi-cultural crew involves ensuring that all safety materials are provided in all the languages spoken by workers. While the diversity of the American workforce may present challenges, it is imperative that employers make a concerted effort to properly communicate safety protocols to all employees and continually evaluate the performance of employees, addressing safety concerns proactively. As a significant part of your overall risk management strategy, comprehensive safety training of all employees must be an ongoing process. For further information about risk management and safety initiatives, please contact us today. As specialists in the field of risk management, we look forward to partnering with you to provide the safest environment possible for your employees.